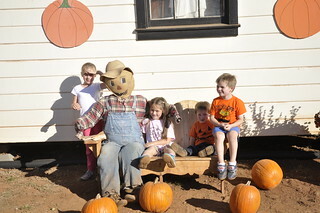 I really wanted to take the kids to a real pumpkin patch this year. 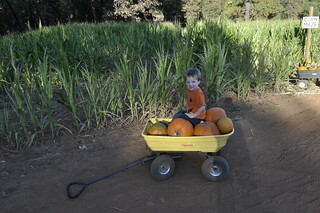 Last year we found a “farm” close by but I didn’t consider it a real pumpkin patch. So this year I looked up places near Apple Hill! We went Friday afternoon after school while Nathaniel stayed home with the nurse. He’ll come with us next year! For extra fun, Grandma and Grandpa Harrison came, too. 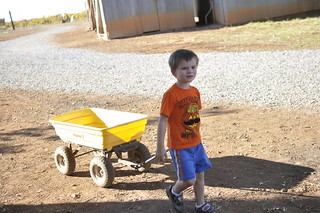 At this patch you get a wagon to put your pumpkins in and pull around. 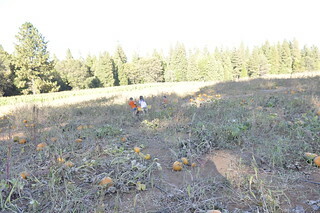 A lot of the pumpkins had been cut off the vine, but not all. It was big enough that the kids could roam where they wanted, but small enough that I wasn’t worried they would get lost. Perfect! 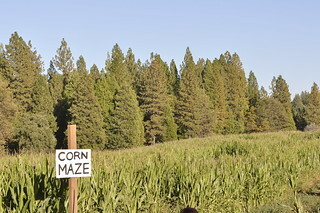 There was even a kid friendly corn maze, where all roads lead to the exit. Amelia and Daniel especially loved running through it several times. 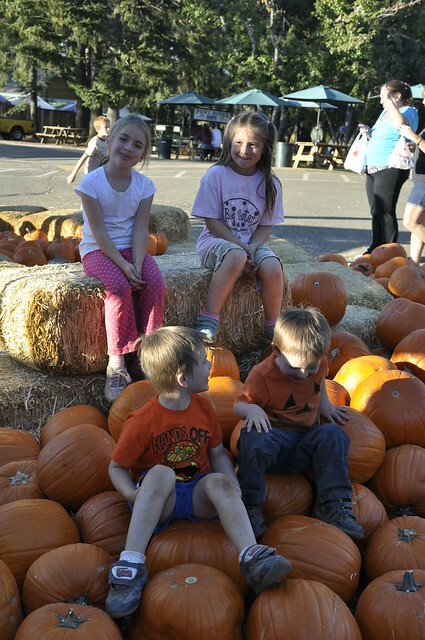 Kathryn took time finding the perfect pumpkin. 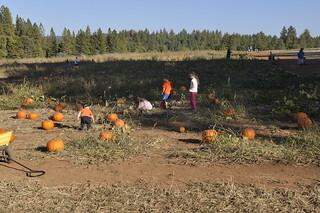 The pumpkin patch was right next to High Hill, where we like to go at Apple Hill. So we stopped for some apples and cider. 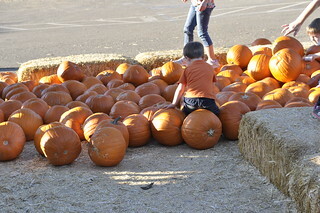 Spot the 2 year old boy in pumpkin heaven! Posted by Darryl Melanchuk on Saturday, October 19th, 2013 at 8:15 am.